Alila Purnama operates a series of exclusive set departure cabin trips throughout the year. This traditional luxurious phinisi is operated by the world-renowned Alila Hotels group and has the feel of a floating hotel, with excellent service and 5 beautiful rooms including a master above deck with a private balcony, and 4 doubles below deck. Alila has one of the most experienced teams in Indonesia with excellent levels of service and food, and she also offers massage services at additional cost. Alila Purnama offers trips in Raja Ampat from January to February, Cenderawasih from March to April, Komodo from July to September and Ambon in June and October. Kudanil is a newly converted expedition vessel that can accommodate up to 16 guests. She has 8 spacious berths with private balconies, all of which are the same size and layout and can be converted between king-size and twin set ups. Given her layout there is also plenty of space inside with a large saloon, bar, library and lounge. She is well kitted out with watersport’s equipment and ideal for adventurous exploration cruises. Kudanil offers trips in Raja Ampat from January to March, Komodo from April to September and Ambon in September and October. 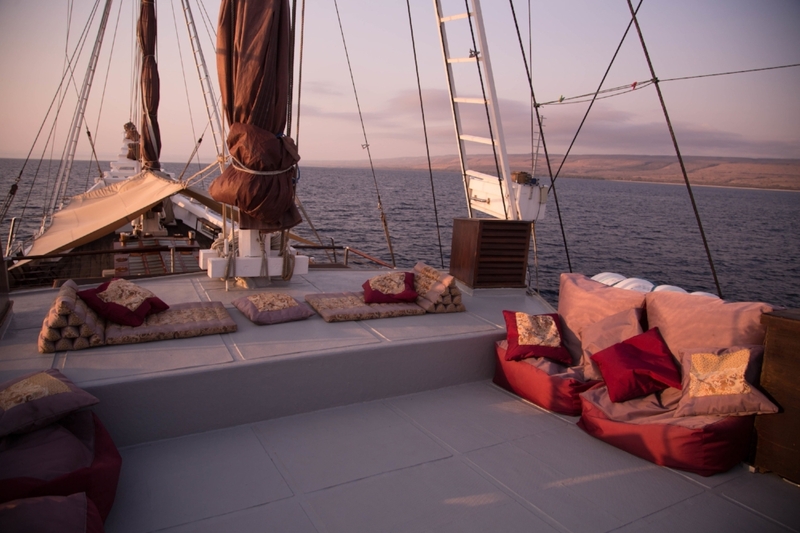 Rates for a 4-night trip start from USD$8,000 per standard cabin, including full board accommodation and activities. Tiger Blue offers regular set departure cabin trips in both Raja Ampat (November to February) and Komodo (April to July). This traditionally built 34m phinisi style yacht offers generous deck space and five en-suite cabins. 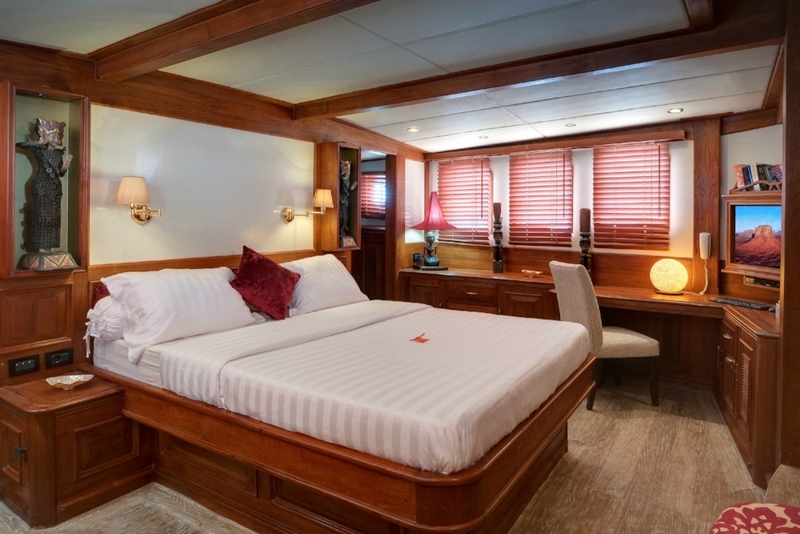 She recently underwent a full refurbishment and her cabin layout comprises an upper deck double cabin and 2 doubles below deck, as well as 2 doubles that can be converted into twin beds. Rates start from USD$8,600 per cabin for a 7-night cruise. Mutiara Laut and Tiare’s cabin trips are dive-focused (particularly Tiare) and not ideally suited to non-divers. 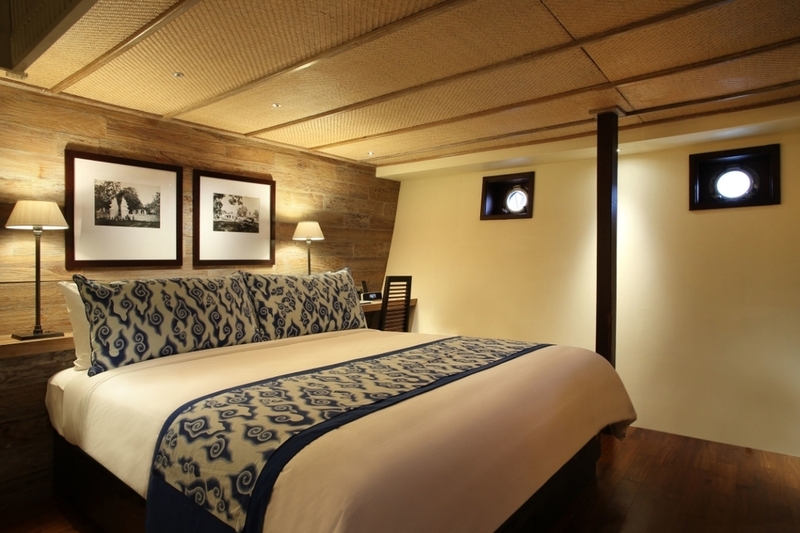 Mutiara Laut offers set cabin departures throughout the year. This classical 47m schooner is influenced by an 18th century North Atlantic vessel and has seven cabins, a master on the main deck aft and then four doubles and two twins/doubles below deck. There’s a large saloon, library and lounge furnished with Indonesian art and carvings, adding a touch of Asian craftsmanship to her European charm. She has a very experienced crew of 13 onboard and is equipped with a good range of watersport’s equipment. Rates start from USD$7,500 per cabin for a 6-night cruise. Tiare offers set cabin departures throughout the year. 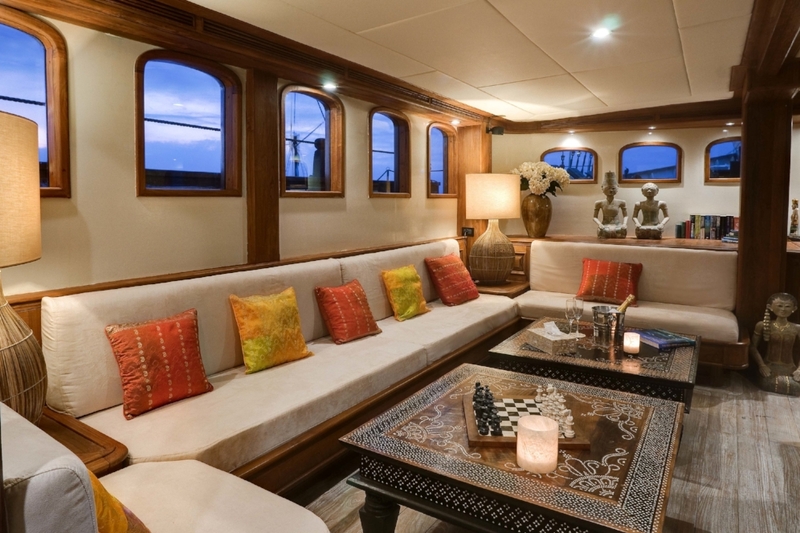 This phinisi yacht is owned by an Italian family with plenty of stylish flair and traditional Indonesian touches. There are 6 cabins located below deck, accommodating up to 12 guests (maximum capacity is 14 guests, with 2 additional guests accommodated at an extra fee). The cabin layout comprises 2 triple cabins with king-size and single beds, 2 double cabins with king-size beds, and 2 cabins with twin beds. She has a large sundeck and foredeck area. Rates start from USD$6,250 per cabin for a 5-night cruise. Katharina has a series of cabin trips throughout the year, exploring a wealth of islands across Indonesia. This comfortable yacht was refurbished in 2014 and has 6 cabins accommodating up to 12 guests. She specialises in cabin trips but please note that diving is not offered onboard. The focus of Katharina’s itineraries is on snorkelling and land excursions. Rates start from USD$7,000 per cabin for a 6-night cruise.